Part of our coverage of the 2016 Ithaca Fantastik Film Festival Day two of the Ithaca Fantastik Film Festival at Cinemapolis delivered another slate of diverse works from around the world, including a slightly psychedelic animated adventure film (Nova Seed), a Bollywood action thriller (Kammatipaadam), and a violent Filipino drama involving child gangsters (Alipato: The Very Brief Life of an Ember). Unfortunately, I missed the first two screenings of the day, so yesterday’s coverage will be slightly more abbreviated (but hopefully no less illuminating) than that of day one. It’s not everyday that someone runs across a film from Laos. As we were informed by a presenter before the film was shown, Dearest Sister is only the 13th Lao film ever made and its director, Maddie Do, is the first female Laotian filmmaker to make a feature. Do’s sophomore effort is a drama with horror elements that follows a village girl named Nok (Amphaiphun Phommapunya) travelling to the big city to care for her cousin, Ana (Vilouna Phetmany), who has gone blind. It’s often said that when you lose one sense, your remaining senses are enhanced to make up the difference. However, rather than having her senses sharpen, Ana picks up a sixth sense (and yes, it’s the same one that Haley Joel Osment had). A new ability to communicate with the dead instills a constant feeling of fear in Ana, but brings only good things to Nok, as the spirits begin to relay winning lottery numbers, leading to Nok embracing a life of greed and materialism. As strange as it may sound, this lottery subplot ties into an overarching theme of postcolonialism and the exploitation of ancestral knowledge and tradition. Money is a common topic in the film’s conversations and additionally significant is Ana’s European boyfriend (Tambet Tuisk), who frequently forces his will and hovers over the proceedings. Such a concept is intriguing, but the experience of watching the film is weirdly confusing and alienating. The drama is somewhat monotone, plot threads don’t quite cohere and despite being a slow-burn overall, the individual scenes are mostly very brief, making it difficult for anything to register or sink in. However, Do makes excellent use of tension and weaves a strong feeling of dread into the atmosphere, and I’m inclined to give the story the benefit of the doubt in certain muddy areas. 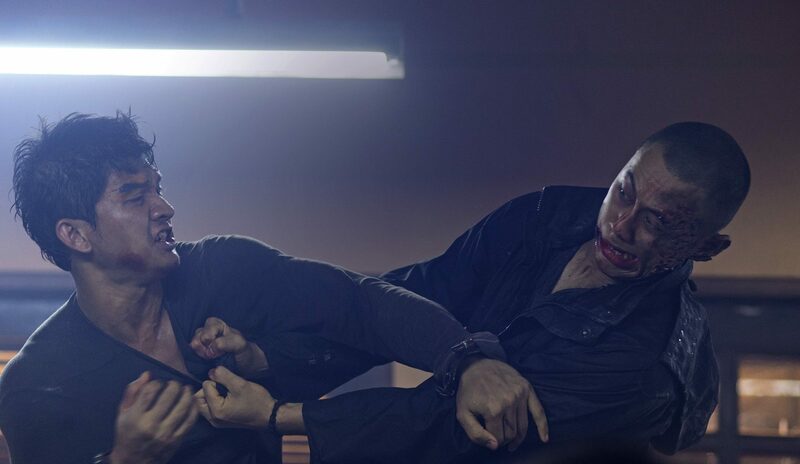 If you are a fan of action cinema, the martial arts subgenre or liked The Raid or its sequel even marginally, then you must run, not walk to see the latest Iko Uwais vehicle, Headshot. The story isn’t really worth getting into details about: Uwais plays a man who washes up on a beach with a head wound and no memory of who he is or what happened to him. He is befriended by a kind doctor (Chelsea Islan) who calls him “Ishmael,” but trouble finds him when he learns that he was once part of a criminal organization led by a ruthless gangster (Sunny Pang) who sends his minions to finish Ishmael off. Like many films of this kind, the plot is mostly an excuse to showcase mind-blowing action choreography. Headshot is an energetic and ultra-violent spectacle of flying fists, flashing blades and snapping limbs that I found to be a complete and utter joy to experience. Structured around creatively staged “boss fights” and sudden bloody ambushes, the film is characterized by constant intensity. The obligatory character beats are slipped in occasionally and they aren’t especially inspired, but when it comes to the action scenes, the film is bursting with innovation and cleverness. Momentum and pacing are perfectly judged, slow-motion is sparingly employed, unlikely items are incorporated at unexpected moments and the camera fluidly maneuvers around the hectic activity like an active partner in a complex dance routine. The kills are brutal, the storytelling is efficient (even if the story itself is kind of cheesy) and, personally speaking, there were multiple moments where the level of adrenaline was so high that I had to restrain myself from audibly cheering the hero’s insane finishing moves. 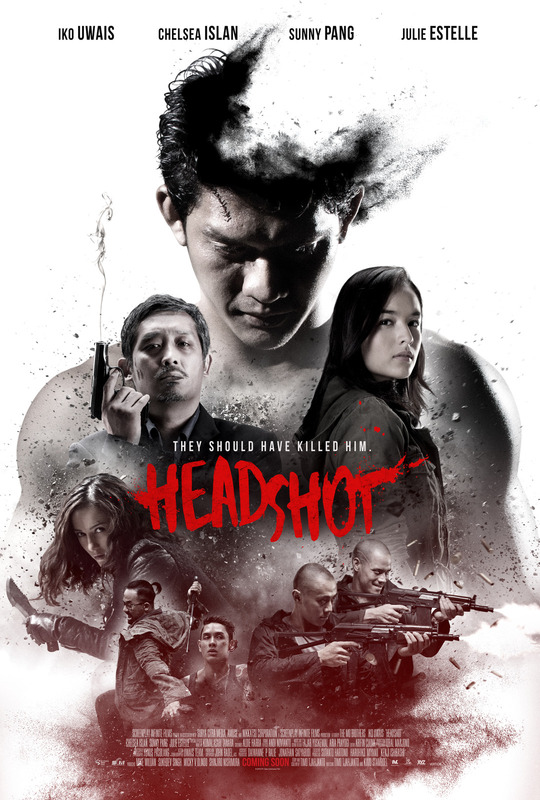 The characters are nothing to get excited about, but Headshot is a glowing example of quality action filmmaking. Peter (John Hargreaves) and Marcia (Briony Behets) are a married couple set to go on a camping trip over one particularly long weekend. Their destination is a remote beach fit for a postcard. But the reality of the place is not so cozy, especially after Peter and Marcia carelessly antagonize its ecosystem with a variety of major and minor offenses. On the car ride to the beach, Peter flicks a cigarette into some dry bushland (starting a fire) and later hits a kangaroo on the road. After setting up camp, Marcia selfishly hoards an eagle egg, while Peter shoots mother ducks for sport, tosses used bottles into the surf and begins chopping a tree “because why not?” Slowly — painfully slowly — nature swallows them up. It chips away at them, bit by bit, disrupting their activities with a hostility that starts out subtle and innocuous but soon becomes terrifyingly real and direct. 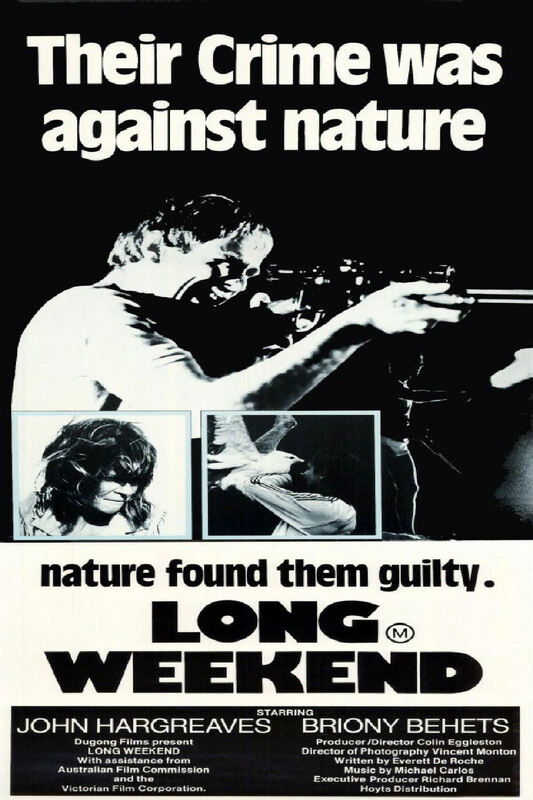 Along with Ted Kotcheff’s Wake in Fright, Long Weekend stands at the very peak of 1970s Ozploitation thrillers. Instilled with a penetrating sense of karma and cosmic balance, the film is disturbing not only in its sporadically violent imagery, but in its ability to convey the creeping dread of invisible barriers being raised and suffocating walls closing in. Our characters circle the inevitable and although they’re not meant to be liked, the panic that gradually engulfs them is too visceral to not relate to on some level. Also present is the added layer of the couple’s on-and-off fighting. Of course, every couple gets into disagreements, but there’s an especially raw strain of disgust that runs through their arguments. Sexual frustrations and long-dormant grievances bubble to the surface. As they battle nature, Peter and Marcia also battle each other, and the issue at the heart of their mutual resentment is unearthed at about the same rate that their sanity withers away. In time, they both become nothing more than incompatible bundles of nerves operating on paranoia and a frayed survival instinct. For the second straight night, the Ithaca Fantastik Film Festival has programmed an unfairly overlooked, bonafide stunner. For a more extensive take on the films mentioned here and the festival experience as a whole, check out this second installment of a 4-part series of solo podcast specials!